Why Choose Plant Foods Instead? The majority of paediatricians, doctors, and nutritionists do not recommend unmodified cow’s milk to infants before age one. And many are extending that to at least age two of the child. Increasingly, if a mother can’t breastfeed, she is being advised to use a formula. But in the opinion of one expert in this field, Dr Amy Lanou, the best formulas are built from plant foods rather than cow’s milk. 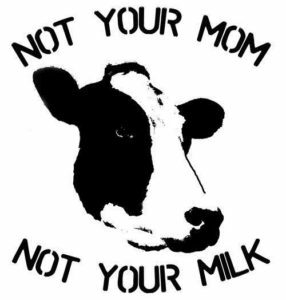 Cow’s milk is much higher in protein than a human mother’s milk – this is not a good thing, unless you are a 60 kg baby cow! Some of these milk proteins have been shown to stimulate infant autoimmune reactions that can trigger Type 1 Diabetes in very small children. With almost three quarters of the world’s humans being lactose intolerant, it’s no surprise to see evidence that milk consumption causes ear and respiratory infections in children. Lactose intolerance is caused by the body being deficient or lacking in lactase, the intestinal enzyme responsible for breaking down lactose, the sugar mostly found in cow’s milk. Milk is associated with acne in teenagers. It appears to be no coincidence, therefore, that in westernised countries where cow’s milk consumption is so high, around 85% of teenagers suffer from this condition. Constipation is an increasingly big problem (no pun intended) for children and adults alike. 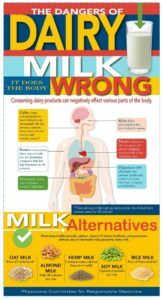 A 2013 study eliminated dairy from the diets of children with chronic constipation and 100% of them were cured. The research data does not support claims from the milk industry that the calcium in cow’s milk improves bone health in children or adults. In fact, some research indicates quite the opposite – cow’s milk appears to cause osteoporosis. Cow’s milk is very high in saturated fat because it’s a nutritional package designed for the growth of a cow. In fact, between 30% and 80% of the caloric value comes from fat – and mostly of the saturated sort. Looking for one of the reasons for the increase in childhood obesity? Look no further than the top of that cheesy pizza or that harmless-looking bottle of chocolate milk. The female cow puts IGF-1 (insulin-like growth factor 1) into her milk to boost the growth of her babies. All female mammals do this, including human mothers. But if we continue to consume IGF-1 past weaning (four years old at the latest for humans), then those extra growth factors can become problematic. The IGF-1 in cow’s milk increases our body’s own production of IGF-1. If you have an adult body with “non-self” cells or cells that have been damaged by a carcinogenic substance, these kinds of extra growth promoters will potentiate or push such cells into the cancer promotion phase. And it’s not just the IGF-1 in cow’s milk that can lead to cancer development – the protein in milk, casein, has been shown to be involved in each of the three stages of cancer development. And casein in milk products is also known to be addictive. Easy to appreciate this when you see how many people’s faces turn ashen when you inform them that a WFPB diet means NO MORE CHEESE. And these are not the only problems with cow’s milk – what about the average 1.1 million somatic cells (better known as pus cells) that can found in just one spoonful of the white stuff? Plant foods can provide not only everything that is claimed to come from cow’s milk, but much more besides – including calcium, vitamin C, fibre, protein, carbohydrates, healthy fats, and many other minerals and nutrients. 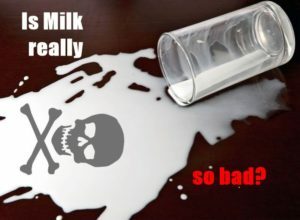 When so much evidence exists for the harmful effects of young cow growth fluid (or just good-old “milk”, as it has come to be known), which informed parent would think of actually drinking it themselves….let alone feeding it to their children? 1. Which of these health conditions are associated with dairy consumption? 3. Which of these does milk NOT contain? American Academy of Pediatrics. Breastfeeding and the use of human milk. Pediatrics. 2012 March; 129(3): eB27-eB41. 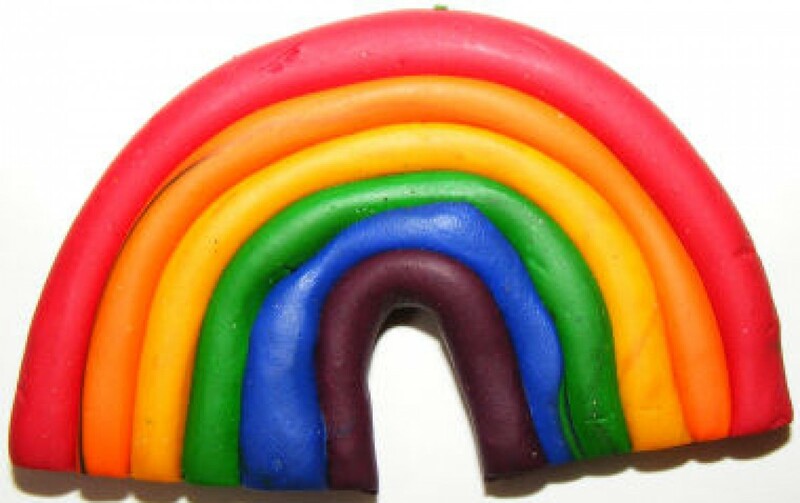 http://pediatrics.aappublications.org/content/129/3/e827. Chan JM, Stampfer MJ, Giovannucci E, Gann PH, et al. Plasma insulin-like growth factor-1 and prostate cancer risk: A prospective study. Science. 1998 Jan 23; 279(5350): 563 – 566. Cow’s milk – infants. Medline Plus, US Library of Medicine website. https://www.nlm.nih.gov/medlineplus/ency/article/002448.htm. Updated July 10, 2015. Accessed June 3, 2016. Espelund U, Cold S, Frystyk J, Orskov H, Flyvbjerg A. Elevated free IGF2 levels in localized, early-stage breast cancer in women. Eur J Endocrin. 2008; 159: 595-601. Heaney RP, McCarron DA, Dawson-Hughes B, Oparil S, et al. Dietary changes favorably affect bone remodeling in older adults. J Acad Nutr Dietetics. 1999 Oct; 99(10): 1228-1233. Arndt Manzel, Dominik N. Muller, David A. Hafler, Susan E. Erdman,5Ralf A. Linker, and Markus Kleinewietfeld. Role of “Western Diet” in Inflammatory Autoimmune Diseases. Curr Allergy Asthma Rep. Author manuscript; available in PMC 2015 Jan 1. Lanou AJ. Bone health in children: Calcium recommendations should be revised. Invited Editorial. BMJ. 2006; 333:763-4. Lanou AJ, Berkow SE, Barnard ND. Calcium, dairy products, and bone health in children and young adults: A reevaluation of the evidence. Pediatrics. 2005 March; 115(3): 736-743. Lanou AJ, Castleman MC. Building Bone Vitality: A Revolutionary Diet Plan to Prevent Bone Loss and Reverse Osteoporosis—Without Dairy Foods, Calcium, Estrogen or Drugs. New York, NY: McGraw-Hill Inc.; 2009. Larsson SC, Orsini N, Wolk A. Milk, milk products and lactose intake and ovarian cancer risk: A meta-analysis of epidemiological studies. Inter J Cancer. 2006 Jan; 118(2): 431-441. Feskanich D, Bischoff-Ferrari HA, Frazier AL, Willett WC. Milk consumption during teenage years and risk of hip fractures in older adults. JAMA Pediatr. 2014 Jan;168(1):54-60. doi: 10.1001/jamapediatrics.2013.3821. Cuatrecasas P, Lockwood DH, Caldwell JR. Lactase deficiency in the adult: a common occurrence. The Lancet. 1965; 1:14-18. Hertzler SR, Huynh BCL, Savaiano DA. How much lactose is low lactose? J Am Dietetic Assoc. 1996; 96:243-246. Huang SS, Bayless TM. Milk and lactose intolerance in healthy Orientals. Science. 1968;160:83-84. Lactose intolerance. Genetics Home Reference, US National Library of Medicine website. (https://ghr.nlm.nih.gov/condition/lactose-intolerance#statistics. Reviewed May 2010. Published Jun 7, 2016. Accessed June 8, 2016. Newcomer AD, Gordon H, Thomas PJ, McGill DG. Family studies of lactase deficiency in the American Indian. Gastroenterology. 1977; 73:985-988. Simoons FJ. The geographic hypothesis and lactose malabsorption: A weighing of the evidence. Am J Dig Dis. 1978 Nov; 23(11): 963- 980. Physicians Committee for Responsible Medicine. (N.D.). What is lactose intolerance? Retrieved from: http://www.pcrm.org/health/diets/vegdiets/what-is-lactose-intolerance. Woteki CE, Weser E, Young EA. Lactose malabsorption in Mexican-American adults. Am J Clin Nutr. 1977; 30:470-475. Adebamowo CA, Spiegelman D, Danby FW, Frazier AL, Willett WC, Holmes MD. High school dietary dairy intake and teenage acne. J Amer Acad Dermatol. 2005 Feb; 52(2): 207-214. Adebamowo CA, Spiegelman D, Berkey CS, Danby FW, Rockett HH, et al. Milk consumption and acne in adolescent girls. Dermatol Online J. 2006 May 30; 12(4):1. Clement A, Adebamowo CA, Spiegelman D, Berkey CS, Danby FW, Rockett HH, et al. Milk consumption and acne in teenage boys. J Amer Acad Dermatol. 2008 May; 58(5): 787-793. Crowley ET, Williams LT, Roberts TK, Dunstan RH, Jones PD. Does milk cause constipation? A crossover dietary trial. Nutrients. 2013 Jan 22; 5(1): 253-266. Dehghani SM, Ahmadpour B, Haghighat M, Kashef S, Imanieh MH, Soleimani M. The role of cow’s milk allergy in pediatric chronic constipation: A randomized clinical trial. Iran J Pediatr. 2012 Dec; 22(4): 468-474. Health.gov. (2015). Dietary guidelines for Americans 2015-2020, 8th Edition. Retrieved from: http://health.gov/dietaryguidelines/2015/guidelines/.